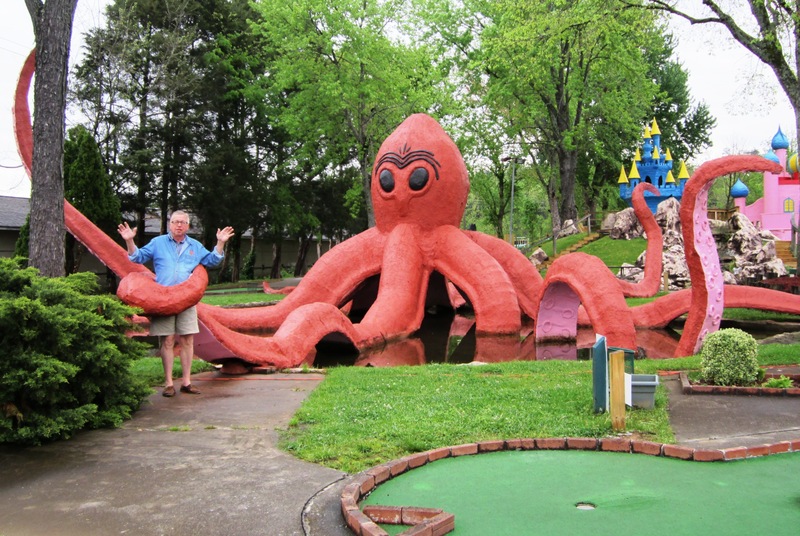 Adventure Golf Octopus – The Home of My "Big Things"
A little farther up the road we hit a jackpot with multiple Big Thing hits. It was early in the morning when we stopped at Adventure Golf. This octopus was guarding the second hole. Pretty scary, sure to throw you off your game. I got a little too close but thankfully was saved by the groundskeeper, the only person nearby at this time of day. I didn’t get his name but did leave him with one of my business cards. Hopefully he get in contact. What a lifesaver!